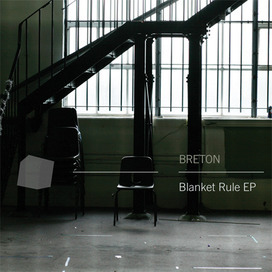 On 17th January 2012 Breton released ‘The Blanket Rule EP’, to celebrate the announcement of a fresh set of dates, including shows in Paris, Dublin and the Mercury Lounge in New York, which will be the band’s first ever headline show. It consists of four new tracks that will not be included on their forthcoming debut album ‘Other People’s Problems’ due for release onFatCat Records on 26th March 2012. There will also be a bonus track, ‘The Well’ that first featured on the band’s ‘Sharing Notes’ EP.